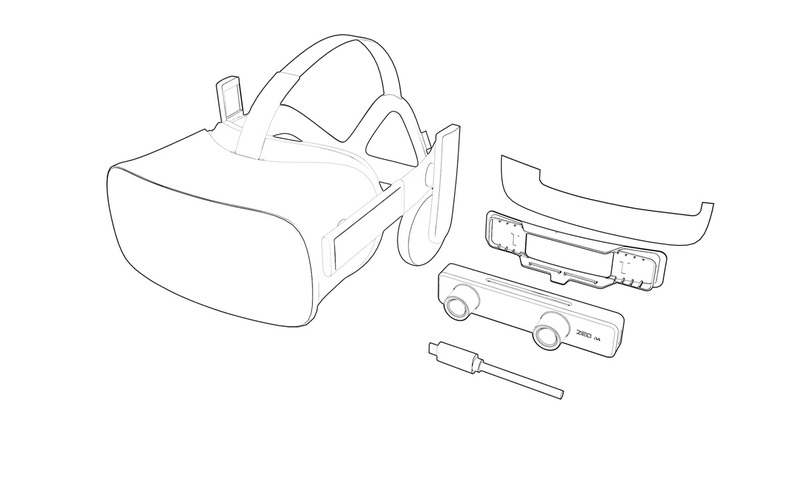 Learn how to set up the ZED Mini on Oculus Rift CV1. Attach the MR mount to your headset. 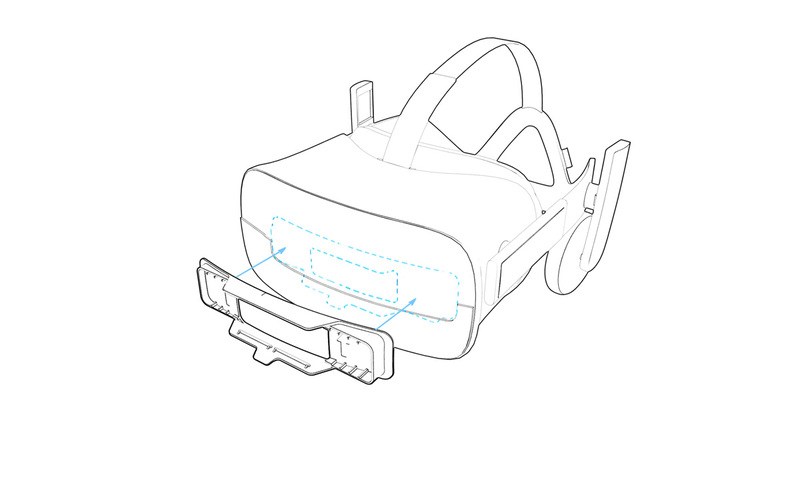 Use the placeholder provided with each ZED Mini to position the camera accurately on your headset. Connect the 4m USB type-C cable to the camera. Make sure to plug the cable with the small arrow on the connector facing you. To reduce stress on the cable, avoid passing it through Rift cable holder. 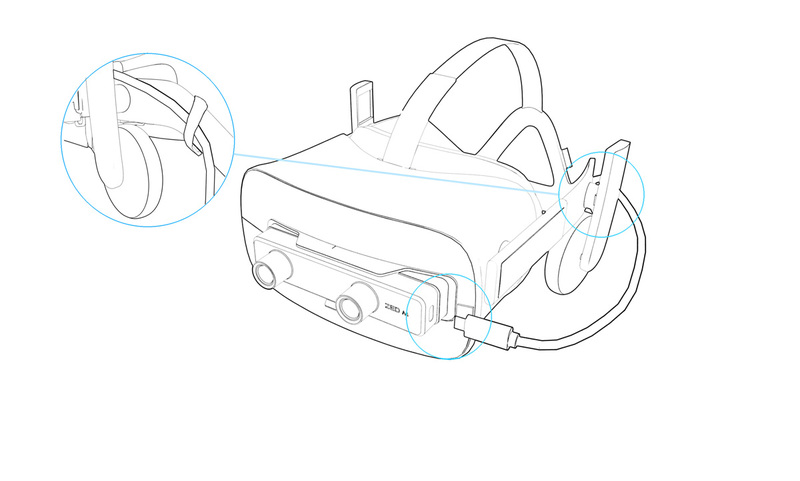 Use the provided strap to attach the cable to the side of the Rift. Download and install the ZED SDK. 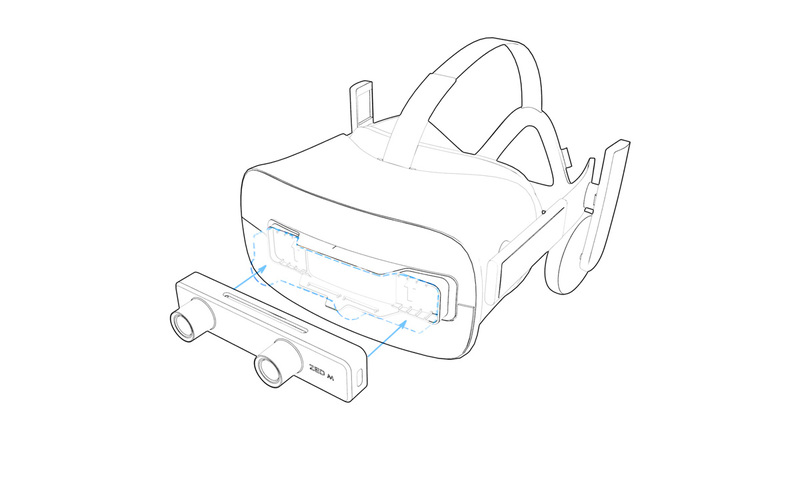 Enable content from unknown sources in the Oculus app on your PC. Go to Settings in the General tab to allow external content to run on the Rift. Run ZED Explorer. Check that the video is running smoothly at 720p60 without dropping frames. If dropped frames are visible, this can be due to USB 3.0 bandwidth limitations on your PC. Check out our Troubleshooting tips to solve this. Launch ZED World to start experimenting with mixed-reality! Several controller options are available: Xbox, Oculus Remote, Oculus Touch. 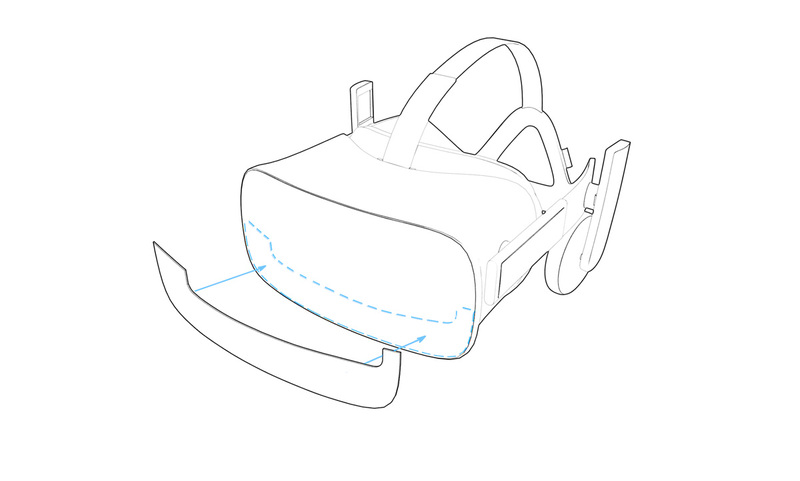 The first time you launch ZED World, disconnect Oculus sensors from your computer and test the application with an Xbox controller or Oculus Remote. You can also start building your own MR applications with our Unity and Unreal plugins. Note: For the best experience, make sure to turn on the lights in your room before entering ZED World. If dropped frames are visible in the application and you have ruled out USB 3.0 isses, this might be due to your graphics card performance.